Though I haven't had as much time as I'd like to devote to my arts, I do occasionally piece together a project with a few minutes here and there. In the meantime, I can share a few of the items I finished in the last few months. 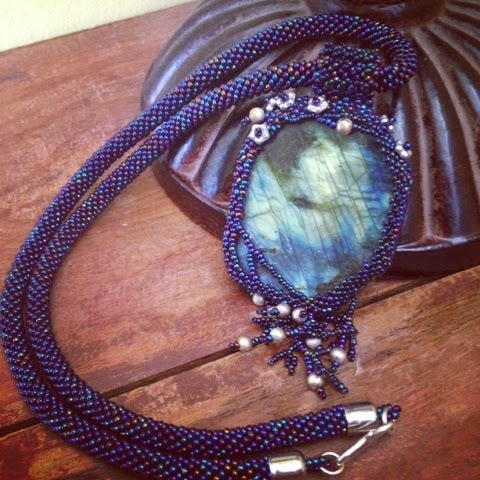 The Labradorite chunk came first in this necklace. I stumbled on it in a local metaphysical shop, and it was love at first sight. It took me months to finish, just to put together the perfect beads and findings to accent it. I started by bezelling the cab in RAW, as well as a RAW bail, and then added some surface embellishments. 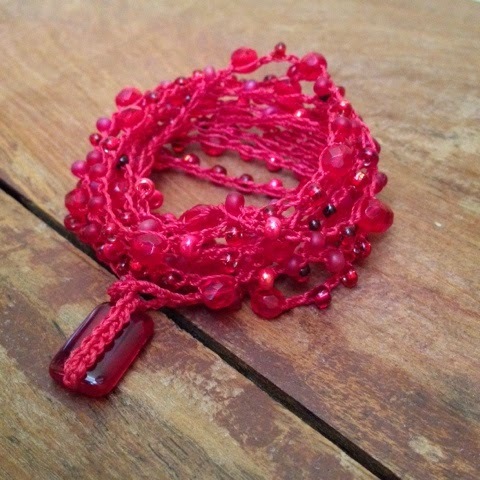 The bead crochet rope was just a natural choice for me, to balance the heaviness of the pendant. It feels amazing on, I love the weight of it against my chest. It' also quite the conversation starter. Its chatoyance really catches the eye. 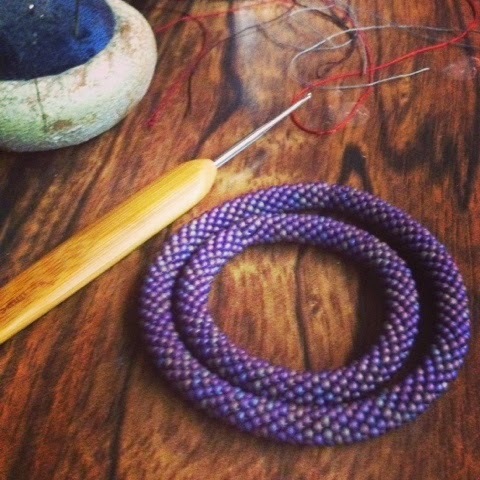 A new line I've been working on is these simple crocheted strands, combining seed beads with larger accent beads. These are very satisfying to make due to my lack of free time. 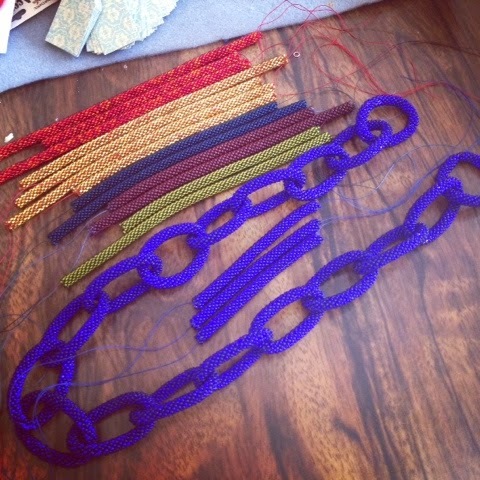 I can string them ahead of time, and work on them little by little without fearing losing my space if I have to put them down in the middle of working. I love experimenting with different colour combinations, and find them to add a great shiny pop to any outfit. They're also incredibly versatile, due to their length. 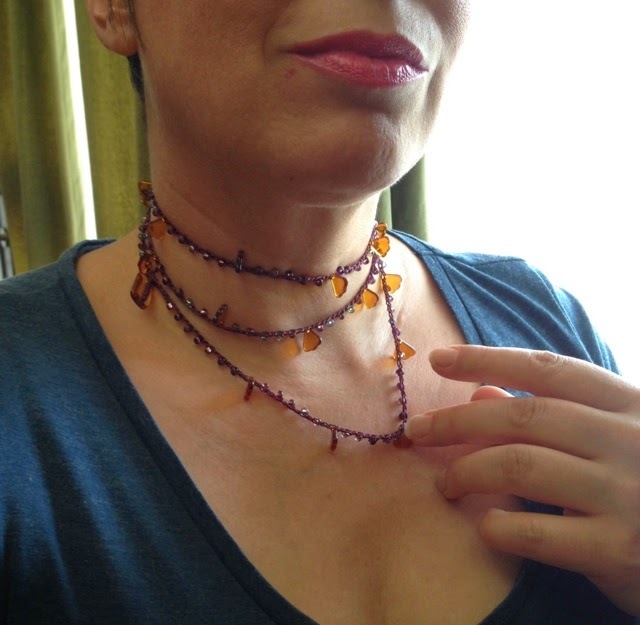 I wear them as bracelets, chokers, short, medium, or long necklaces, and if you have the figure for it, they'd look fabulous as a waist chain, just loosely sitting on your hips. This latest offering from La Tzigane is by far my cutest: A Mommy and Me bangle set! Custom made for mamas who want a little special something for themselves and their little cherub. My Didi just loves wearing hers. The chain link piece is hopefully just the first in a new collection. I can see it in so many colours, and it could be worn in many different lengths as well. 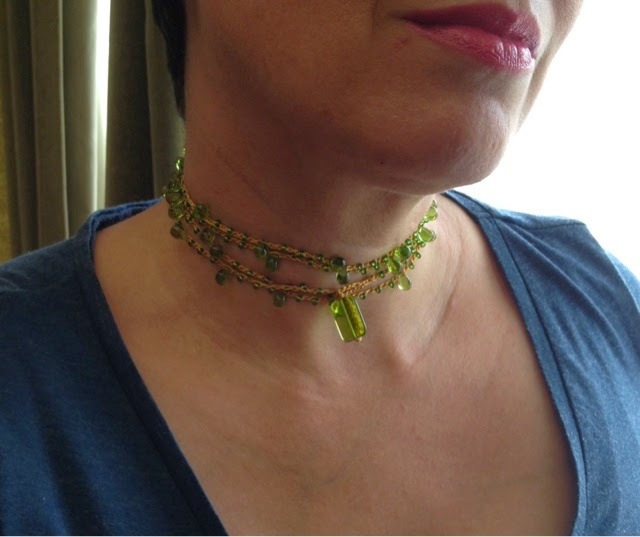 I've left this one open ended and use a large spring clasp as a closure, giving me many options on wearing it long, short, multi-wrap, or as a "Y" necklace. 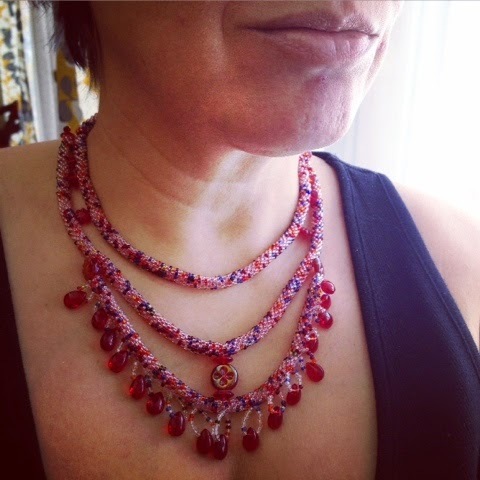 This multi-strand Statement Necklace is the latest off of my beading table. 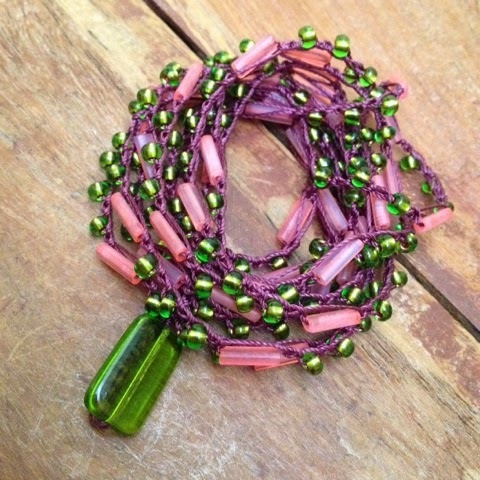 It is completely beaded, including the 'button & loop' type clasp using a large accent bead. No metal clasps to fumble with. This was absolutely an exercise in stepping outside my comfort zone as far a colour experimentation goes. I'm usually into much more earthy colours for myself, but this style seems to lend itself well to vibrant hues.